We have an extensive range of fish including Japanese Koi Carp, Goldfish, Australian Native fish plus more. People tend to think that you cannot have much variety in a garden pond or water feature, but we have many different types of fish available, most of which will happily cohabitate, creating a more natural ecosystem within your pond. Having a more diverse ecosystem within the pond is beneficial for several reasons. A mixture of fish species, plants, and other organisms provides a more diverse range of interactions, creating a more interesting and natural experience for your fish. In addition to this, a good mixture of fish, plants, water snails and shrimp will ensure that all the food added to the pond will be more thoroughly processed within the food chain. Unfortunately, we do not sell fish online, because of the risks associated with shipping them, so we only sell fish from our facility in Terrey Hills, Sydney. But we do sell pumps, filters, water plants, fish food, pond lights etc! Koi have been selectively bred for hundreds of years in Japan, to produce a variety of fish which are stunning in colour vibrancy and elegance. We have koi for sale at prices that vary greatly, and this is mainly due to 3 factors. The colour vibrancy, markings, and size. The colours displayed in a Japanese koi fish come from the parents, but the pattern of the markings is mostly random. This means, that even if you bred two “champion koi” together, many of the offspring will have a scattered, speckled pattern, with only a select few having a few blotches of even, symmetrical, high contrast colours. Although all fish are beautiful, this is how one makes the distinction of a quality koi. We have koi for sale to suit all budgets, starting at $9 for babies from good brood stocks, right through to large high-grade fish. Japanese Koi require a pond of at least 800 litres with a good quality pump and filter. We stock top quality Koi Carp, carefully selected and bred by Bernard Lai and our Western Australian Supplier who have both been breeding Koi for over 30 years. We fly in our koi fish from Western Australia and from our own breeding facility in Sydney. Sure it costs a bit more, but we find that the NSW market has been plagued by diseases such as ulcers (a koi herpes virus), most likely due to poor practices and the mixing of stocks at koi auctions. We only purchase the top 10% of their premium koi, so the colours and patterns are great! We learned our lesson (the hard way!!) and have a policy of never receiving fish from untrusted sources. The virus that causes ulcers can be devastating for koi owners, as this deadly disease can wipe out many of your fish and is very difficult to get rid of once it takes hold. This is the reason why we cannot buy koi from the public (even if the Japanese koi look fantastic and healthy!) because we simply cannot take the chance. At The Fish Works, we feed our koi quality fish food, including floating and sinking pellets, organic vegetables and fruit grown on site and worms growth on site. We believe that this diet, combined with the genetics of the stock we purchase makes for healthy and beautiful fish. Kohaku Koi, Sanke, Showa Koi, Sanshoku, Bekko, Utsuri-Mono, Kawarimono, Hikari-Moyomono, Asagi, Shusui, Koromo, Ogon, Kinginrin, Hariwaki Doitsu, Hi-Utsuri and Ki-Utsuri. Visit our store and find different colour, sizes and varieties of Koi. We are one of the few places in Australia to stock the majestic butterfly koi. Butterfly koi have the long flowing tails and fins of some of the goldfish varieties but have the same colours and patterns that people love in Japanese Koi carp. Goldfish are great in most pond sizes, including water bowls. They are not aggressive, and can even be tamed after a while, as can most fish..
Look for fish with long fins and tails, with vibrant colour. 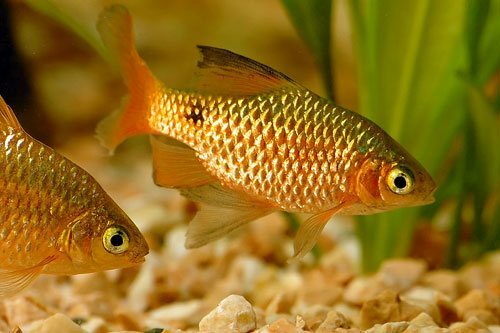 We have many types of goldfish, from your common comet goldfish, a hardy strain ideal for any sized fish pond, to fancy strains. Comets, Ranchu, Lionheads, Pearlscales, Black Moors, Shubunkins, Orandas etc. 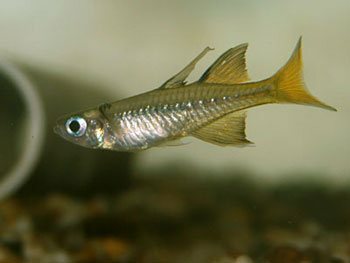 A popular small native schooling fish. Frog-friendly, the Pacific Blue Eye is found up the east coast of Australia. We only get the cold water variety, which will cope with our Sydney winters! Maximum size 3cm. Minimum pond size 150 litres. 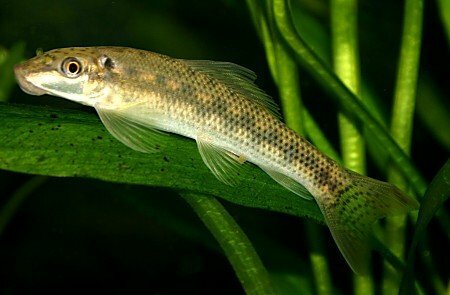 Empire Gudgeons are a small predatory fish, eating insects that fall into the pond, but will take flakes and small sinking pellets. 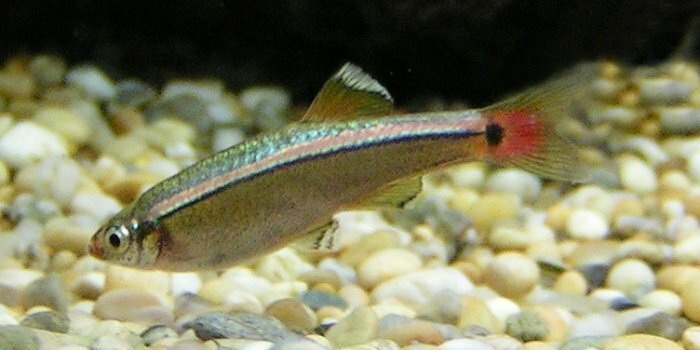 Rainbows are our most popular native fish. There are many species of rainbow fish in Australia, mostly from the northern parts. We only get rainbows from colder climates such as Murray river rainbows and ones from the Hunter Valley region. 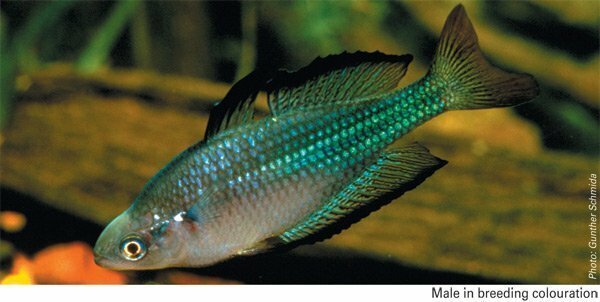 Males show an iridescent green-blue scale formation, with reddish fins. A great schooling fish that is frog friendly and will breed in well-planted ponds. Min pond size 200 litres. Frog-friendly. A great addition to a larger pond or dam with koi and other large fish. 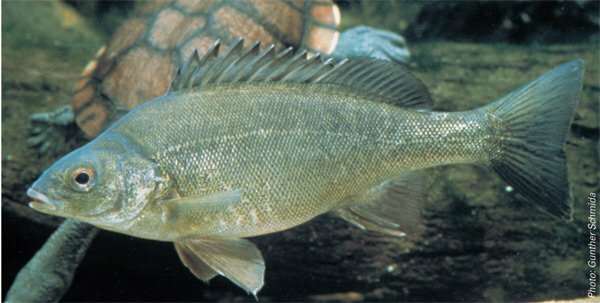 Silver perch will reach up to around 40cm and can be quite tasty! Not that you would do that to your fish, right? A popular aquaculture fish, it is used increasingly in aquaponics by our customers. Minimum pond size of around 600 litres. May eat small fish. Great little fish from the clear mountain streams in China. These little guys will reach a maximum of around 2.5cm and are frog friendly! Will breed in a well-planted pond of a minimum size of around 150 litres. Like all fish will eat mosquito larvae. Nice little schooling fish that will reach a maximum size of around 4.5cm. 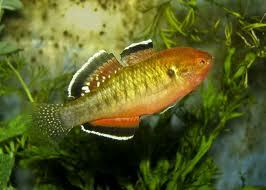 Males are bright red and females a more copper tone, but they are still pretty. A great way to add colour and movement to a pond of a minimum size of 200 litres. That's all they do. Eat algae! Well, they also have a bit of character, chasing other tank mates occasionally, they think they own the place! They are harmless, though. In most ponds, they will get to a size of about 12cm, but I have seen some reach up to 30cm! Give them some space so they do not think that the whole pond is theirs. Min pond size 300 litres. Glass Shimp are great for small ponds with small fish such as blue eyes and white cloud mountain minnows. Anything bigger will eat them. 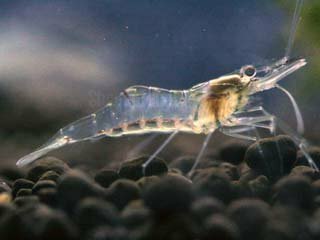 Shrimp are great at eating leftover food and will pick at algae in the pond. A great and interesting addition to your pond ecosystem. Prefers a pond with at least some shady parts, plenty of submerged plants to hide in. Minimum pond size 150 litres. 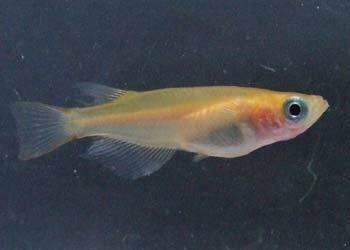 Found in the rice paddies in Japan, these little fish grow to a maximum of 2.5cm. They are frog friendly and peaceful, mixing well with other fish of a similar size to them. 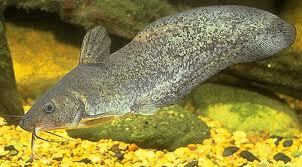 Tandanus Catfish are great for larger ponds of at least 600 litres. They have the potential to get big, so will mix well with koi and other larger native fish. Not a fussy eater, they will eat pellets, especially sinking pellets. An interesting addition to any large pond. 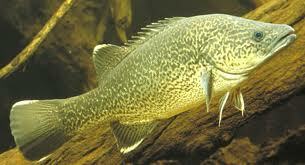 Murray Cod are a large native fish that can grow up to 180cm in the wild, but will rarely exceed 65cm in a pond. So only mix with larger fish such as koi and other large natives. A predator by nature, murray cod love a place to hide surprise their prey, such as overhanging driftwood or rocks. Can eat sinking pellets and live feeder fish, insects etc.